Nicholas Bagley is an assistant professor of law at the University of Michigan. Portions of this post appeared in an op-ed in the Los Angeles Times. 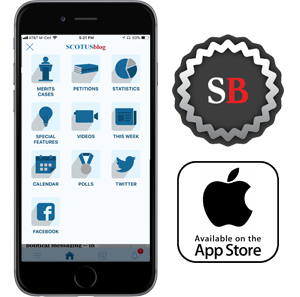 With its decision in King v. Burwell, the Supreme Court handed a decisive win to the Obama administration and to the millions of people who have secured health insurance under the Affordable Care Act (ACA). The decision is also an enormous victory for common sense in statutory interpretation. Why would Congress have wanted to withhold subsidies in states that failed to establish their own exchanges? That’s a hard question to answer, given that the whole point of the statute was to make health insurance available across the nation. But the plaintiffs came up with a story. Maybe Congress really liked state exchanges, they said, and wanted to put pressure on states to set them up. After all, states wouldn’t want to deprive their residents of hundreds of millions of dollars in subsidies. 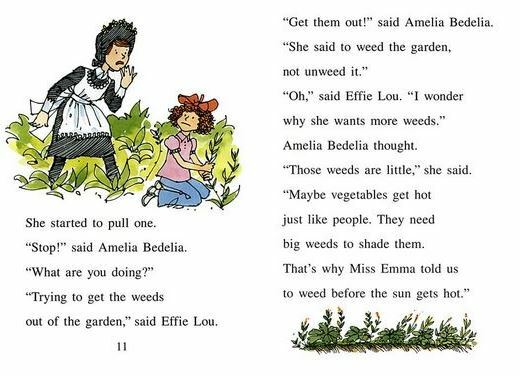 In his majority opinion, Chief Justice Roberts recognized that the plaintiffs’ attempt to explain why Congress would withhold subsidies for residents of some states was every bit as “implausible” – his word – as Amelia Bedelia’s notion that vegetables need shade. In his view, other provisions of the statute demonstrated that Congress meant subsidies to be available nationwide. Roberts pointed out, for example, that insurers are required to sell insurance to all comers, no matter how sick. That’s true in every state, not just the states that set up their own exchanges. As Roberts recognized, however, the combination of this anti-discrimination rule and the loss of subsidies would wreak havoc on the federal exchanges. But Scalia is wrong. The Amelia Bedelia of the Supreme Court, he would transform statutory interpretation into a game of gotcha, where slipshod drafting is an excuse to ignore persuasive clues about what Congress meant to communicate. Words do still have meaning. It’s just that reading the law as a whole – keeping in mind what it aims to accomplish and how it goes about accomplishing it – is the best way to figure out what those words mean, not blinkered literalism. Anyone who knows anything about gardening knows that you don’t plant weeds to help vegetables. And anyone who knows anything about how the Affordable Care Act works knows that Congress didn’t intend it to devastate health-insurance markets. As Roberts rightly appreciated, the broader statutory context thus confirmed that Congress could not have meant what, taken out of context, it seems to have said. That’s not rewriting the law. That’s reading it. In a sense, Scalia is worse than Amelia Bedelia. She’s not playing gotcha. She sincerely thinks she’s doing what she’s been asked to do. In contrast, Scalia knows – or must at least suspect – that he’s standing in the way of what Congress meant to accomplish. Now, Scalia’s got a story – a full-fledged political theory, in fact – about why his job is to frustrate Congress in this particular case. Rigid adherence to statutory text is, in Scalia’s view, the best way to capture Congress’s meaning over time. Because courts are too easily misled by other signals about what Congress meant to communicate, they should be exceedingly reluctant to depart from the literal meaning of a statutory phrase. They otherwise risk upsetting whatever statutory deal Congress struck. Will courts sometimes get it wrong by focusing too narrowly on literal meaning? Sure. But, over time, the courts will get it wrong less often than if they take a more contextual approach. There’s some merit in this approach. But it’s important to remember that it’s not written into the Constitution, and it’s not the only approach that has merit. Indeed, Scalia’s opinion in King suggests why his way of reading statutes is too rigid. After all, the evidence is overwhelming that the members of Congress who drafted the law and voted for it never meant to restrict subsidies. Yet Scalia had no compunction about upending precisely the sort of political deal his approach to statutory interpretation is supposed to respect. 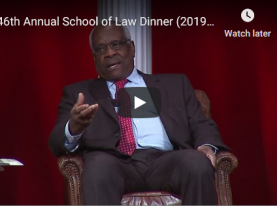 Most judges – and I’ll put Roberts in this camp – believe that they’ll better capture Congress’s meaning by consulting a wider array of evidence. I think of this as the Nate Silver rule: just as a forecaster should almost never ignore data, interpreters should almost never ignore evidence about statutory meaning. That doesn’t mean that all evidence should be given equal weight. Roberts, for example, doesn’t rest his opinion on the legislative history of the ACA. He didn’t have to. The statutory text, read as a whole, clinched the case for him. But it does mean that Roberts rejects the contestable political judgment that Scalia’s decision rests upon.